Its an easy, colorful, effective and simple data visualization. 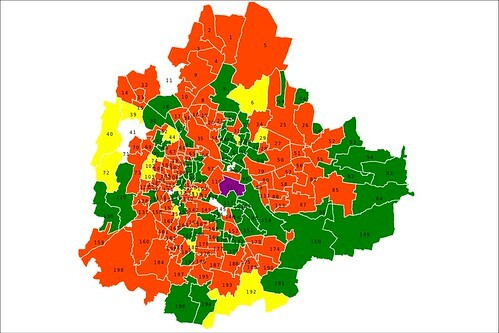 At Janaagraha we use them visualize ward level data of Bangalore. A week back I thought it would be useful for others too and hence wrote a small script that could be used by anybody to create choropleth maps for Bangalore. 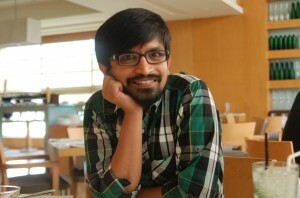 I wrote the initial script and then Anand helped me by adding more features. Its no where near completion. You can help us to resolve issues or by suggesting features. Check some choropleth images created using the script. Legends: Saffron for BJP, green for INC, yellow JDS, white for independents, purple for others. Legends: Blue for male candidates, light pink for female candidates, dark pink for female candidates (reserved). Suppose if I want to use the same script on a different map, say Chennai, do I have to create the SVG format of Chennai map naming the areas accordingly and then populate the values read from CSV file? correct me if I’m, wrong! Yup. Getting the base SVG image with proper “id” is the most important step. Script is no big deal. I would like to get a blank ward-wise map and then fill in data according to my interest – which is about children in Govt. schools. How do I begin? I didnt understand your question. Do you want labels on each ward? that can be done. Let me know if you need that. I can update the code. 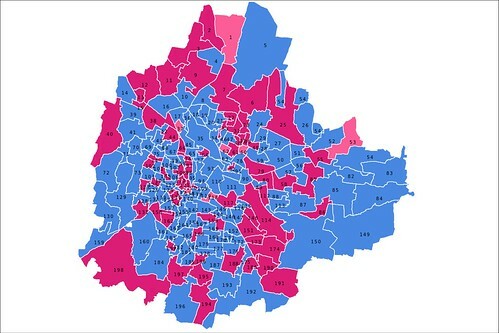 I am looking for 198BBMP ward maps. Where did you get these data from? Your source has data allover India or just Bangalore? I have collected the data only for Bangalore. How can I get the ward map of ward number 152 alone?